George Nakashima was stuck in a World War II internment camp when he learned the lessons that would ultimately shape his philosophies for life and his craft. Nakashima, born to Japanese parents in Spokane, Washington, was being held at Camp Minidoka in Idaho when he met Gentaro Hikogawa, a man trained in traditional Japanese carpentry. Under his tutelage, Nakashima learned to master traditional Japanese hand tools and joinery techniques. 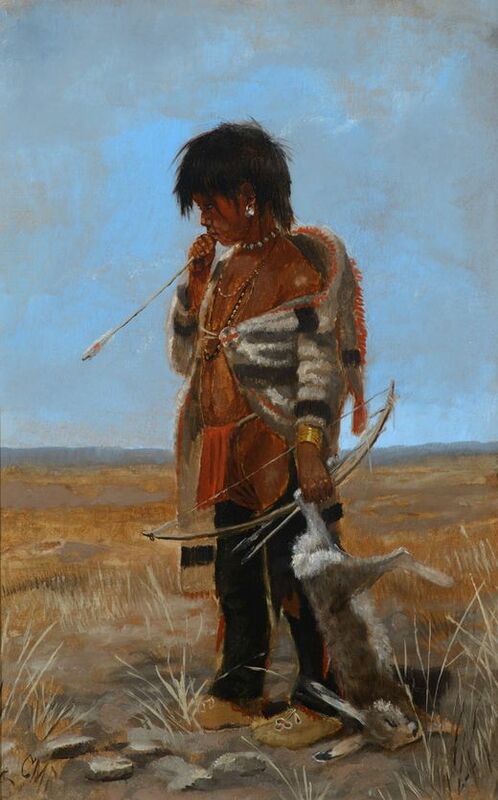 Perhaps more significantly, he began to approach woodworking with discipline and patience, striving for perfection in every stage of construction. The legacy of Nakashima’s work will be on display Saturday, June 20, when Skinner stages their 20th Century Design sale. 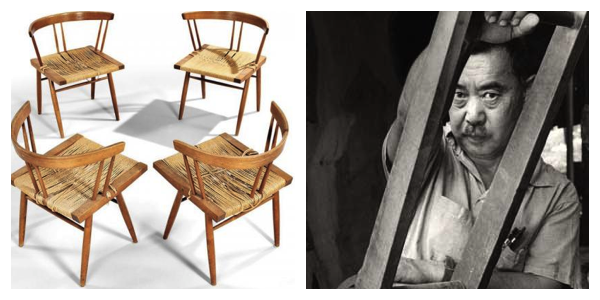 Among the 569 lots on offer will be seven exceptional pieces by the master furniture designer, who upon his release from Minidoka set up shop on a farm in New Hope, PA, where he lived out his life exploring the organic expressiveness of wood through design. Lot 286 (top) captures the Nakashima mantra perfectly. 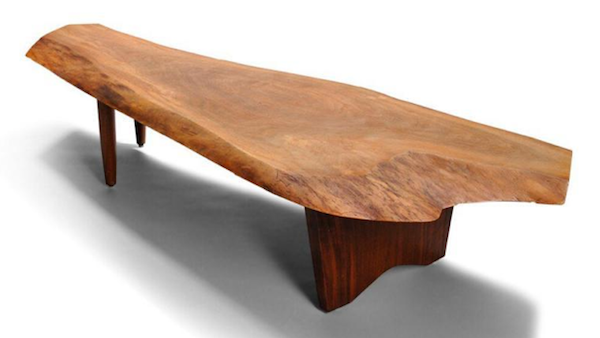 A 1980 walnut coffee table with offset legs on one end and a shaped support at the other, its strongest feature is the free edge slab top synonymous with Nakashima’s work. Lot 293, a set of four grass-seated chairs, is a classic example of Nakashima’s love of melding form and organic materials. 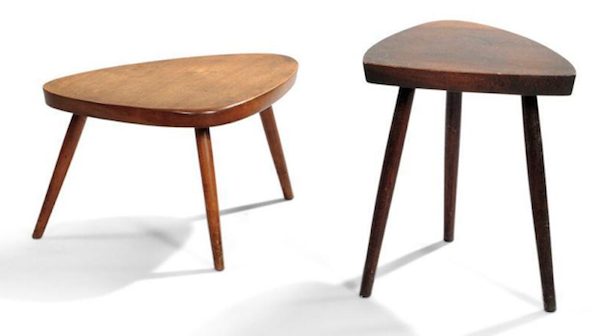 Lot 297, two walnut stools, are stylish yet simplistic and are classic Nakashima. 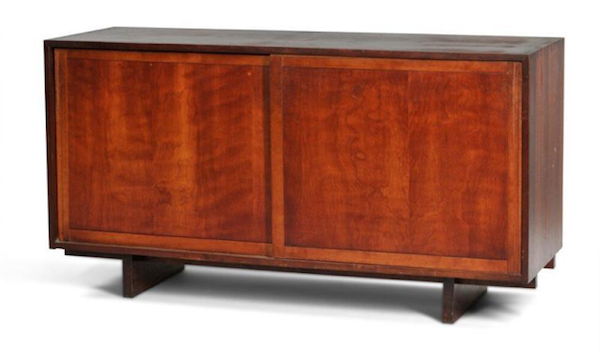 Lot 289 (above), a walnut sideboard whose sleek lines were created in the sixties, is required viewing for any fan of contemporary furniture design. 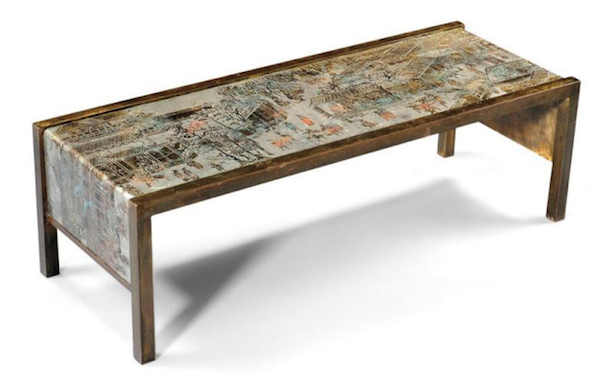 Skinner’s 20th Century Design sale is a must for all discerning design buffs. Covering a host of categories including furniture, artwork, ceramics and glass, metalwork, and textiles, it features iconic names such as Albert Paley, Edgar Brandt, L.C. Tiffany, Philip and Kelvin LaVerne (above), Steuben, Georg Jensen, and more. Look now at the full catalog.